Put customers at ease by providing them with accurate arrival and delivery times. Thanks to the Live Map feature you can see how far vehicles are from their destination and any possible delays. Driver Performance measures four separate driving criteria; Speeding, Harsh Acceleration, Harsh Braking and Idling. By reducing these businesses have seen fuel bills reduce by over 20%. The Kinesis Telematics App gives businesses immediate access to key information on a smartphone, including vehicle health, journey information and driver performance- all in one easily accessible place. For those customers that use one of our fuel cards; we fully integrate the fuel transaction data into the Kinesis system removing the need for external transaction imports. With Kinesis, businesses can be kept informed immediately whenever driver performance is not as desired. GeoPlus identifies when a fuel card is being used without the vehicle present. Using the Geofence feature can trigger alerts when vehicles enter or leave a certain area. The Live Map function allows you to keep track of your vehicles’ exact locations at any time. Using the satellite view to see traffic congestion enables you to improve driver productivity by following the most efficient routes. Journey history allows you to select any number of vehicles and review their journeys over a time period of your choice. Our easy to understand reporting system will give you peace of mind that your vehicles are not being used for unauthorised trips. Driver performance measures four driving criteria: Speeding, harsh acceleration, harsh breaking and idling. By actively monitoring and taking steps to improve driving standards you can reduce the risk of accidents, protecting both your employees and members of the public. Reports can be run over a specified time period and rate each driver with a score out of 100. Driver scores decline based on the length and severity of the speeding, acceleration or breaking events. Total idling time for the period is also shown. By actively monitoring and taking steps to improve driving standards you can reduce the risk of accidents. Monitoring driving styles and introducing initiatives to improve driver behaviour can also dramatically reduce your fuel consumption. Kinesis the only telematics solution to feature complete fuel card integration with your device. Kinesis can be used on any web enabled device, with our tailored telematics smartphone applications for Apple and Android devices. Kinesis allows businesses to analyse their own performance, creating reports which can be used to analyse performance and identify opportunities in the business for greater efficiency. For those customers that use one of our fuel cards, you can link Kinesis to your account using the Velocity account management software. Fuel Card Integration helps measure accurate MPG which gives your business maximum flexibility and control over your fleet’s performance. Continuously tracking your fuel efficiency will give you the ability to measure the impact of driving improvement initiatives on your fleet. Even a small increase in a vehicle’s MPG can lead to a significant reduction in fuel consumption and expenditure. When integrating Kinesis with one of our many fuel cards, our GeoPlus feature gives you the ability to quickly and easily identify possible fuel misuse. You will know the moment your fuel card is used without the presence of the business vehicle using our real time alerts. 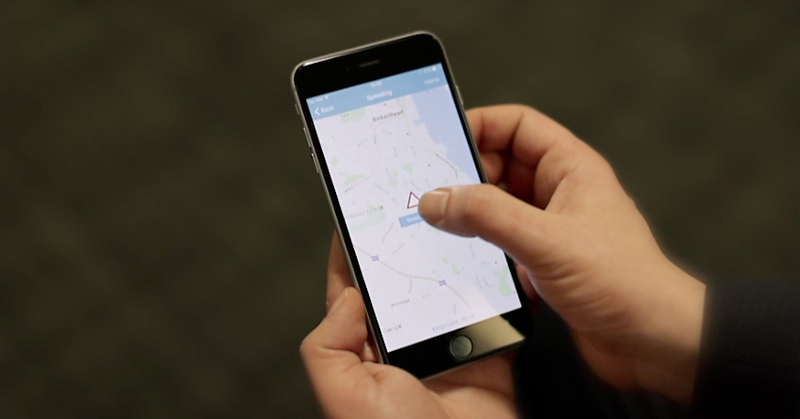 Geofencing allows businesses to easily create virtual zones, which can trigger an alert when the vehicles are approaching the destination, are near a restricted area, or another point of interest.The Kinesis Geofence can send you a notification whenever your vehicles enter a pre-set area, allowing you to prepare for their next move.